One of the greatest lies we have been given has been the left’s rewriting of history and facts concerning the Fascism. The claim that they were a far-right, Conservative ultranationalist movement could not be further from the truth. While there is truth to their being nationalist, the rest of the claims are so far off from the truth that is laughable, but the left has to do this to distance themselves from the fascist movement, something they desperately want us all never to know. In the 1930s, while many in the democratic party agreed that capitalism had failed, it wasn’t hard to find common themes and mutual admiration in Washington, Berlin, and Rome, not to mention Moscow. Roosevelt upon taking office sent his men to study what Mussolini was building in Italy. To understand this we need to look at how America was when Roosevelt took power, so let’s back up to the start of his administration. When Roosevelt took office in March 1933, he received from Congress an extraordinary delegation of powers to cope with the Depression. Like in Germany Roosevelt faced a Supreme Court that was not willing to agree to his violation of constitutional standards with the New Deal, so Roosevelt pushed through a fix, he would change the complexity of the Supreme Court, would pack it with justices to achieve what he wanted, this seemed to have the effect he desired, with what looked like a Congress willing to go along with Roosevelt the Supreme Court passed the legislation going through with the new deal as constitutionally sound, thus the make-up of the court was left as it was. 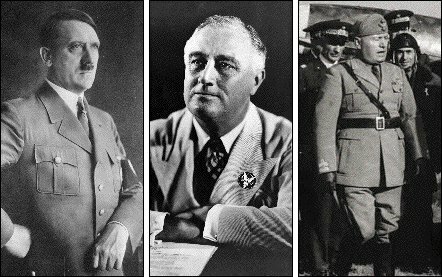 While Roosevelt was saved from a more radical move like Hitler had done, there was no capital burning down in Washington; he was able to move this nation into a way that was far closer to Fascism then most realize. Roosevelt himself called Mussolini “admirable” and professed that he was “deeply impressed by what he has accomplished.” The admiration was mutual. In a laudatory review of Roosevelt’s 1933 book Looking Forward, Mussolini wrote, “Reminiscent of Fascism is the principle that the state no longer leaves the economy to its own devices.…Without question, the mood accompanying this sea change resembles that of Fascism.” The chief Nazi newspaper, Volkischer Beobachter, repeatedly praised “Roosevelt’s adoption of National Socialist strains of thought in his economic and social policies” and “the development toward an authoritarian state” based on the “demand that collective good is put before individual self-interest. The Nazi press enthusiastically hailed the early New Deal measures: America, like the Reich, had decisively broken with the “uninhibited frenzy of market speculation.” The Nazi Party newspaper, the Völkischer Beobachter, “stressed ‘Roosevelt’s adoption of National Socialist strains of thought in his economic and social policies,’ praising the president’s style of leadership as being compatible with Hitler’s own dictatorial Führerprinzip” (p. 190) . Nor was Hitler himself lacking in praise for his American counterpart. He “told American ambassador William Dodd that he was ‘in accord with the President in the view that the virtue of duty, readiness for sacrifice, and discipline should dominate the entire people. These moral demands which the President places before every individual citizen of the United States are also the quintessence of the German state philosophy, which finds its expression in the slogan “The Public Weal Transcends the Interest of the Individual”‘” (pp. 19-20). A New Order in both countries had replaced an antiquated emphasis on rights. Mussolini, who did not allow his work as dictator to interrupt his prolific journalism, wrote a glowing review of Roosevelt’s Looking Forward. He found “reminiscent of fascism … the principle that the state no longer leaves the economy to its own devices”; and, in another review, this time of Henry Wallace’s New Frontiers, Il Duce found the Secretary of Agriculture’s program similar to his corporativism (pp. 23-24). So then, why was history rewritten in such a fashion? One may first start with why is the actual full name of the Fascist party ignored? It is called the Nationalsozialistische Deutsche Arbeiterpartei, the National Socialist German Workers’ Party, I would say that it is self-identifying as a socialist government should make one immediately question this, but if you notice, no one speaks of the actual name of the party, all we know is that we are told that Fascism was a far-right extreme nationalist party, that is false. While, yes, they were an ultranationalist party, they were also very much a socialist nation, they did not believe as communism did, that all property had to be given up to the state, rather independent own companies must work under direction and control from the state, that is socialism. 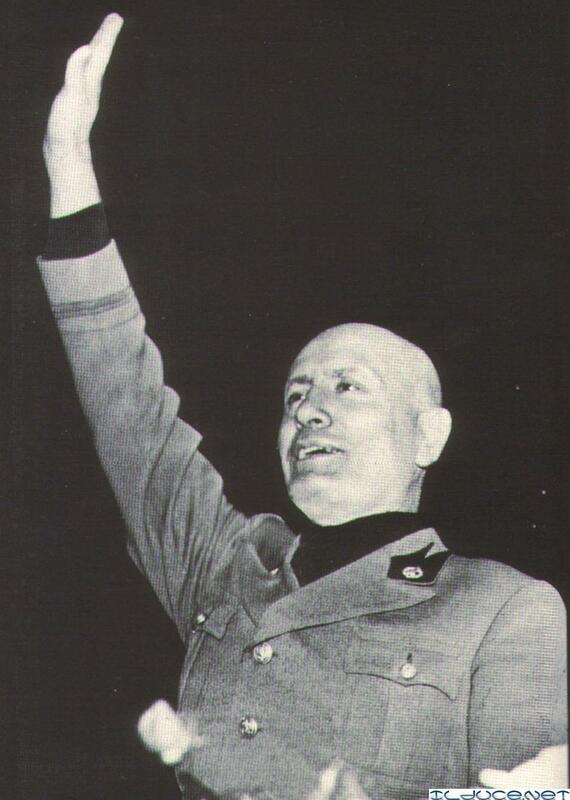 The fascist was an ultranationalist far left-leaning party. The left wants an all-powerful union, but they want one controlled by the government that rules and dictates how workers are treated, how much they get paid, this is seen as something that has never been done before. It has, it was done in both Germany, Italy and Spain. The Unions were allowed to exist in Fascist states, but they were controlled by the state, in other words, strikes were not tolerated, if you needed a better wage, you went to the government, presented your case, then they would implement laws if they agreed to give the employer little choice but to pay what was demanded. This is basically what we have today with closed shops, the DNC, for the most part, works hand in hand with the unions, they dictate the wages and workers rights, this, in turn, is then passed to the legislative branch of government, they pass laws the unions and the left wants. They put in place closed shops, don’t like it, you are kicked out of the union, you no longer have a job. But there is more. The politics of fascism was very much involved in getting more radical elements in their organizations to act violently to push what they wanted. In Italy, there were the Black Shirts, in Germany the Brown Shirts, later the SS. Today we see this within the Liberal ranks; they have what they call the activist side of the party, the more you resist what they want, the more they escalate the violence. Go to colleges they have even more radical groups that are now spilling into the streets, groups like Antifa, who claim they are fighting fascism, but what they, in reality, are supporting is fascist ideology, not to mention they are acting just like the fascist while supposedly fighting against them. So why the move to rewrite history, to make fascism as something it is not? Turns out when WW2 drew the US in, having any connection to Germanies ruling ideology was not good for America and the Democrats, so they started to rewrite history, some of it is understandable, we were after all at war with Hitler and company. It was after the war that this went into high gear when the Holocaust was discovered, any connection to the Fascist ideology had to be erased at all cost, so the great switch and bait started. 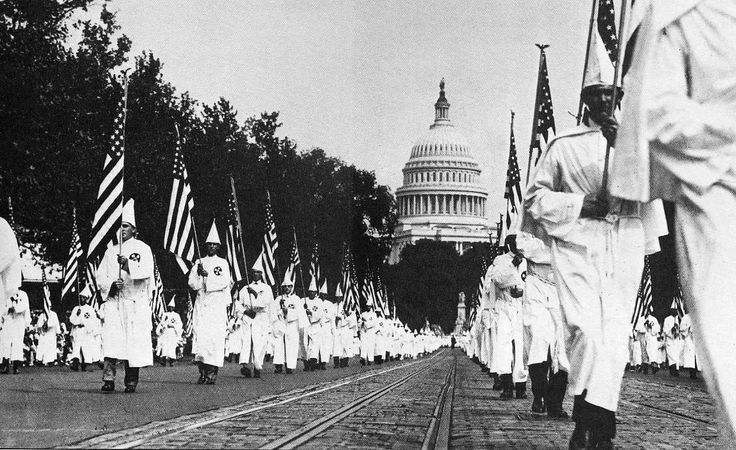 We have since this time heard that the KKK somehow were radical right-wing activist, but that is false, the KKK was started by the Democrats, were very much part of their party until the 60’s, in WW1 KKK members marched proudly on Washington, Democrats poured out of the capital building to march hand in hand with them, even Wilson spoke glowingly of them, and the heroine of the DNC, Margaret Sanger wrote not only glowing letters of attending KKK rallies, but of the fascist as well, but I will get into that when I put out a story next week looking into her history. What happened was at the end of WW2, the left moved to rewrite the history of the Fascist, to turn around and say they were more like the GOP then like them, we now know this was just a lie, then in the 1960’s they convinced the population that the KKK was too as they started to push to have the American Black population join the party that fought a war over not freeing the slaves, who set up Jim Crow Laws, they now said that it was the Conservatives that were doing this, sadly many went along with it, guess if you are lied to about the same thing long enough, you start to believe it. It is time to stop this lie, to start exposing the DNC for what it is, while it claims to be a party of racial tolerance, they are far from that. Used to be if you were black, they wanted nothing to do with you; now they changed in their sheets for Antifa uniforms, said that Whites, more specifically White Males are the root of all that ails us, they redirected their hatred, nothing else has changed. Remember, they used to hate the Jews, still do, they use the Jews to get them to donate to them, a great example is the newest member of Congress, Ilhan Abdullahi Omar, promised the Jews she would not allow any rejection or turning against Israel, then when she was elected, did not wait even a week to change her stance on this. Here she opposed this while in the state house, then once elected did a 180. Now you see this while she was running for federal office, what was her stance the second she won? Turns out the second she won the election her true colors finally started to be shown. Sadly we are going to see that the racist movement against Jews is coming from the new Muslim influx we see not only in the US but also Europe, that is why there is such an uptick in attacks against Jews in area’s where they live with the growing Muslim population. Remember, these are the people supported by the Democrats. It is time to let the truth come out, I for one am tired of history being distorted by the left. The Democrats – From Social Warriors to Goose Stepping Brown Shirts. PreviousWhy Do We Care What Actors Think? NextWhat Is The Issue With The Golan Heights?